Eat This! is not an ordinary cookbook. It is a cookbook dedicated to passion, courage, and possibilities! The cook book is a fundraising initiative that was curated by Benson Ole Soit the executive chef at Basecamp Explorer in Masai Mara. The Basecamp concept centers on empowering staff by offering them opportunities to develop themselves and Benson is one of the beneficiaries. Basecamp Management supportively offered to give him a chance to see his wish to become a successful chef fulfilled. He is a self-made success story who learned how to cook through experimentation. In return, since he became a chef, Benson has continued to dedicate his career to inspiring those with a cooking passion. The proceeds from the sale of the cook book will be used towards educating a passionate young Maasai from the local community to prosper like Benson has done with Basecamp. The Maasai community has been known to be a pastoral community. Today, this is fast changing, modernity have caught up with the traditional lifestyle of the Maasai community. With pastoral land diminishing, the livelihood of the Maasai households has thus been affected. Most of them have been found to be lost in between culture and urbanization and pastoralist lifestyle is becoming more difficult to maintain. Poverty rates among many Maasai is high as they struggle for livelihood opportunities in an economic system that is foreign to their cultural beliefs. For the entire 20th century, very few Maasai children were educated and only a handful of Maasai youth were ever admitted to the university. The cost of schooling continues to be a factor that inhibits the success of Maasai school children hence a small percentage of students in Maasai land are able to access college or university education. As part of our commitment to strengthening local capacity, with Chef Benson to recognize potential and ambitious young Maasais for scholarship allocation. 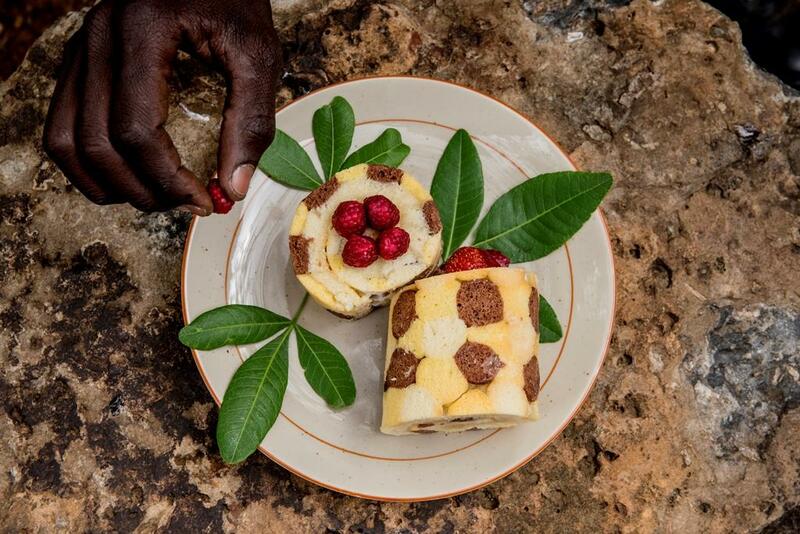 The proceeds from the cookbook created by Chef Benson will be used towards educating a passionate young Maasai. A scholarship of up-to USD 2,500 will be given to a young Maasai with passion for cooking who are not able to afford the school fees. 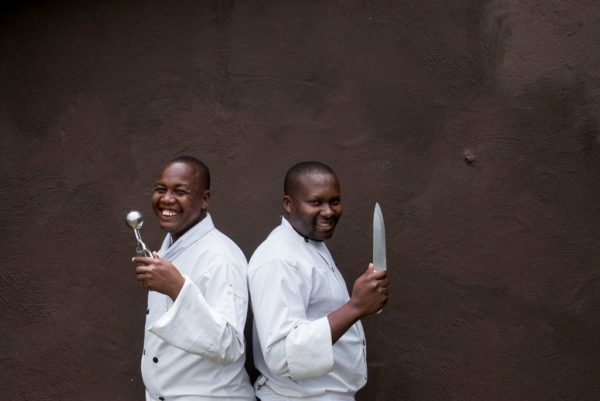 The funds will be utilized during an 18 months cooking course at the Karen Blixen cooking School in Masai Mara. The comprehensive and practical hands-on training provided will help the student understand the balance between classical and modern cuisine, creative food presentation, menu-planning and food costing as well as other courses. Once the student graduates, Basecamp will give them a chance to work under the mentorship of Benson, who will nurture them to be qualified chefs. This is a great opportunity for young, aspiring Maasai chefs who wish to select careers in the hospitality industry. You can directly support the Scholarship ‘Cook Book’ Project by purchasing the book either in our camps in Masai Mara or Spitsbergen. We are also running on online sales campaigns once and awhile, where you can purchase the hard copy book and get it shipped to your home. Follow our website, Facebook or newsletters for more information.